"I’ve watched my father play with Barts for as long as I can remember. As an adult musician I can definitely see why he chose them. Barts have played a key role in helping me develop my sound and brand." Ryan J. Johnson is a native of Atlanta GA, by way of Detroit MI. He began his love of music at an early age, watching his father play the bass guitar for various musical groups and organizations. As a child he began to cultivate his passion for music on the drums. As a teenager, he became the principle drummer for his church organization in Atlanta GA. Early on he exhibited a natural gift for all styles of music, and his prolific playing earned him several spots on tour with various CCM artists. Ryan soon found his love for music transitioning him to other facets. 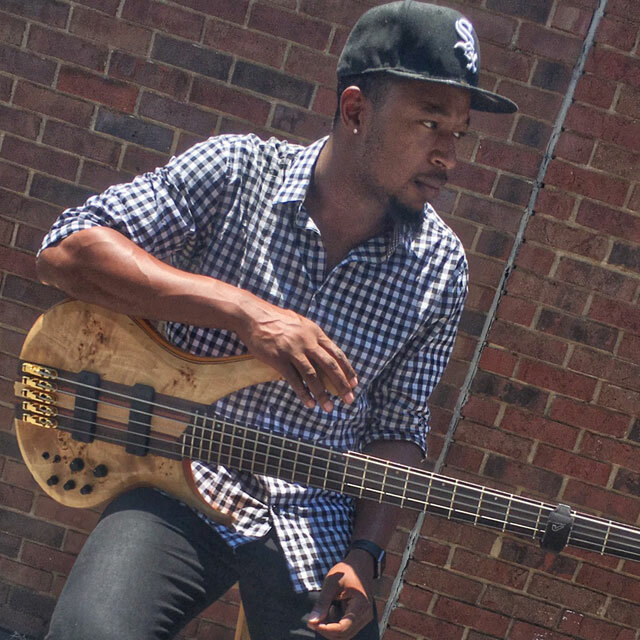 He began playing the bass guitar as a secondary musician for a local ministry in Augusta GA. His skill level progressed quickly and gained the recognition of some fairly influential musicians. He is known for his distinct playing style on various musical covers. Ryan is proficient with DAW and is able to record from home or while on the road. Currently Ryan serves as the Assistant MD for the Tabernacle Baptist Church West location and is the principle bass player for International recording artist Trey McLaughlin as well.